I'm going to be really honest here, I never know what to look for when I'm shopping for headphones because headphones are headphones, right?! WRONG! Last week I took a trip to Best Buy to try out some headphones and get a feel for what fits my lifestyle. The first few pairs I tried were great until I tried the Sony Noise Canceling Headphones. Let's just say these aren't your average headphones. These are powerful, wear all day comfort, hands free headphones! Perfect for this mom! But wait, I have so much more I want to tell you about Sony's new Noise Canceling Headphones. Take your playlist with you by using these Sony headphones. Their 40mm drivers with liquid crystal polymer diaphragms fill your ears with booming audio to immerse you in songs, and they're ergonomically designed to provide comfort during extended listening sessions. These Sony headphones have a 30-hour battery life, so you can go all day without charging! Seriously, how awesome is that?! Here are some more of my favorite features these Sony Headphones offer. Activate your Google Assistant with a simple touch. Ask it questions. Tell it to do things. It's your own personal assistant, always ready to help. HD noise-canceling processor QN1. See what happens when it's just you and your music, with noise canceling that cuts more outside sound than ever before. Clear hands-free calling Everything is at your fingertips. Answer hands-free phone calls with a double tap - or change tracks, adjust the volume and make calls by touching or swiping the panel. 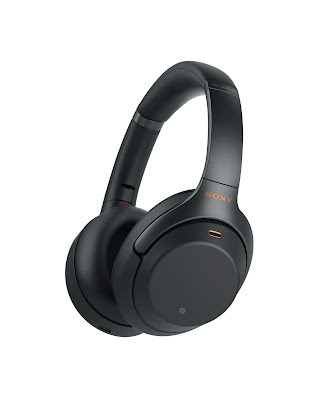 I am completely sold on these Sony Noise Canceling Headphones, and I plan on getting my husband a pair too. Vist Best Buy to learn more and get your Sony Noise Canceling Headphones TODAY!